Based on extensive fresh material and resources, Robert Jobson's biography provides a definitive insight into the extraordinary life of HRH Charles, Prince of Wales as he approaches his seventieth birthday at a watershed in the history of the modern British monarchy. Exploring beyond the banal newspaper headlines that have caricatured Charles over the years, the book debunks the myths about the man who will be King, telling his full, true story; exploring his complex character, his profoundly held beliefs and deep thinking about religion - including Islam - politics, the armed services, monarchy and the constitution, providing an illuminating portrait of what kind of monarch Charles III will be. Although this book is not an official biography, the Prince's office, Clarence House, has agreed to cooperate with the author - who has spent nearly thirty years chronicling the story of the House of Windsor as an author, journalist and broadcaster. 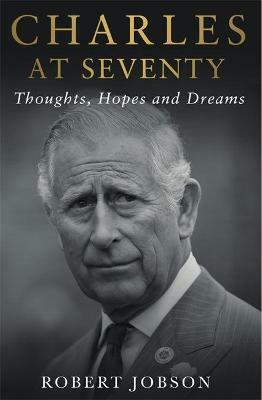 The author, who has met Prince Charles on countless occasions, will draw on the knowledge and memories of a number of sources close to the Prince who have never spoken before, as well as members of the Royal Household past and present who have served the Prince during his decades of public service. It will reveal that there are plans for Charles to serve as Prince Regent once the Queen turns ninety-five, how he already reads ALL the Government papers/boxes at his mother's insistence, and why he feels it is his constitutional duty to pass on to ministers his thoughts and feelings in his controversial 'black spider memos'. Beyond that, Charles at Seventy also reveals the truth about the Prince's deeply loving but occasionally volatile relationship with his second wife and chief supporter, Camilla. 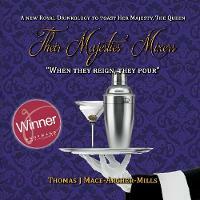 The result is an intriguing new portrait of a man on the cusp of kingship.